Maddy Playle, James Hill, Robbie Wilders and Paddy Power's Paul Binfield look back at Takingrisks' Scottish Grand National win, the Greenham Stakes at Newbury and Winx's retirement. Plus, they preview the Craven meeting at Newmarket and offer tips for Cheltenham's midweek fixtures. - 25-1 shot Takingrisks won the Scottish Grand National at Ayr in a great result for trainer Nicky Richards. Is he a contender for next year's Grand National? - Elsewhere, Mohaather took advantage of Too Darn Hot's absence to win the Greenham Stakes at Newbury, while Persian King impressed Maddy at Longchamp. Can André Fabre be persuaded to run him in the 2,000 Guineas? - Winx bowed out with her final win at Royal Randwick in Australia. The panel salute her glittering career. 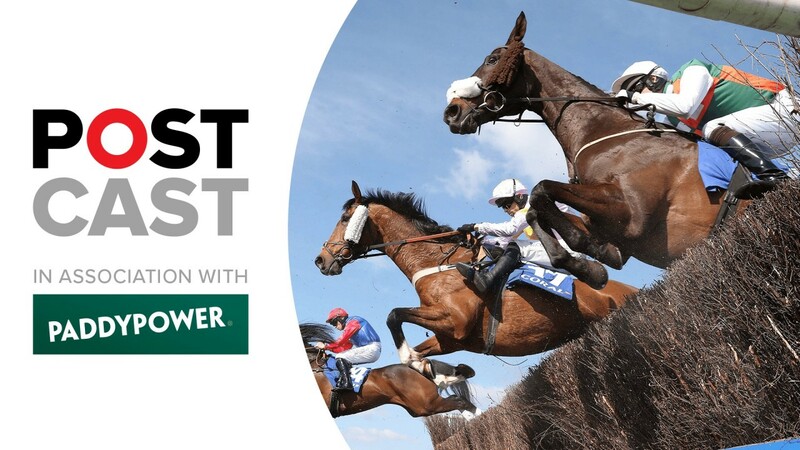 - Plus, there's an action-packed week of racing with the Craven meeting. The team provide their best bets from Newmarket and Cheltenham.